In 1990, Sega was having success with its Sega Mega Drive/Sega Genesis and as a result took back the rights from Tonka for the SMS. They designed the Sega Master System II, a newer console which was smaller and sleeker but which, to keep production costs low, lacked the reset button and card slot of the original. Sega did everything in its power to market the system, but nothing came out of it. By 1992, the Master System's sales were virtually nonexistent in North America and production ceased. Sales were poor in Japan as well, due to the dominance of the main competitor from Nintendo, the Nintendo Family Computer. The Sega Master System is still being produced in Brazil. 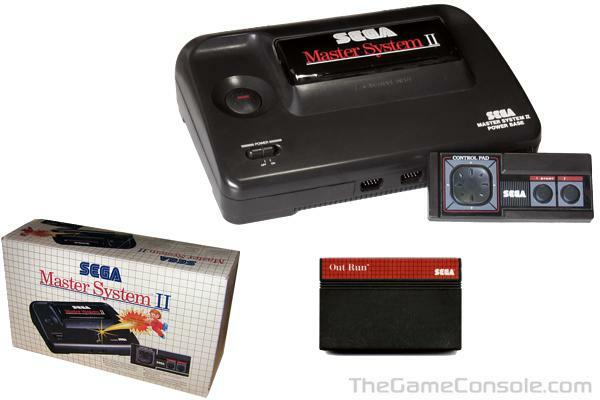 The latest version is the "Master System III Collection". It uses the same design as the North American Master System II (Master System III in Brazil), but is white and comes in two versions: one with 74 games built-in and another with 105 games built-in on an internal ROM. But in Brazil it's hard to find the 3D Goggles, the Light Phaser Pistol and even the cartridge, leaving Brazilians only with the built-in games.